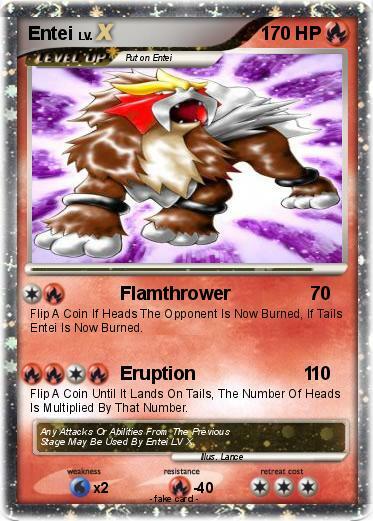 Flip A Coin If Heads The Opponent Is Now Burned, If Tails Entei Is Now Burned. Flip A Coin Until It Lands On Tails, The Number Of Heads Is Multiplied By That Number. Comments : Any Attacks Or Abilities From The Previous Stage May Be Used By Entei LV X.